Home School in the Woods is a familiar curriculum provider for us. We've used them for multiple students in the past, including Celia. 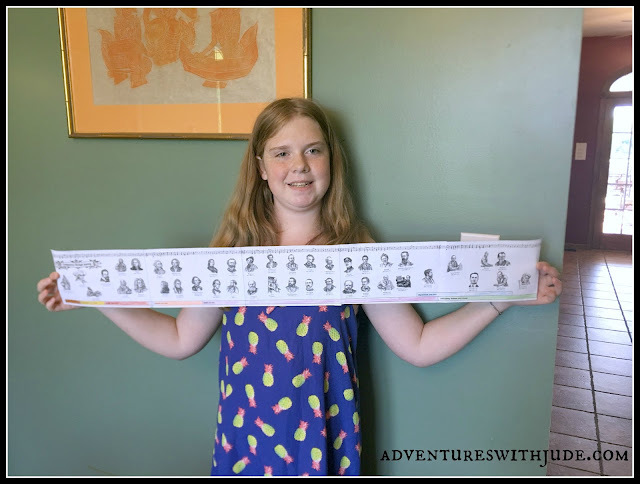 My young musician was happy to work on this review of their HISTORY Through the Ages Hands-On History Activity-Paks: Composers, one of five Activity Paks that the company offers. 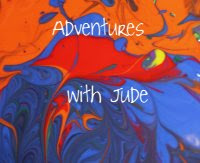 These programs are multisensory curricula that provide hands-on learning. The Composers Activity-Pak studies 42 composers across seven musical eras. 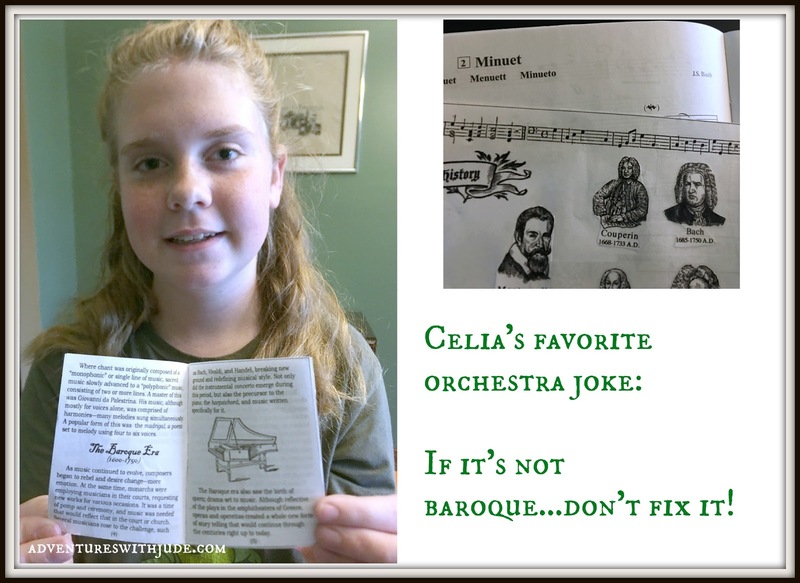 By the time she's finished, Celia will have an extensive background in music history. Studies begin with the Middle Ages and end with 20th Century/modern composition. It's a "Who's Who" of musical history, starting with Guido of Arezzo, the father of Benedictine chant and continuing to the great American composer Leonard Bernstein. There is also a section on music vocabulary, teaching students about various types of compositions. This vocabulary section is the only place where the "answers" are supplied. 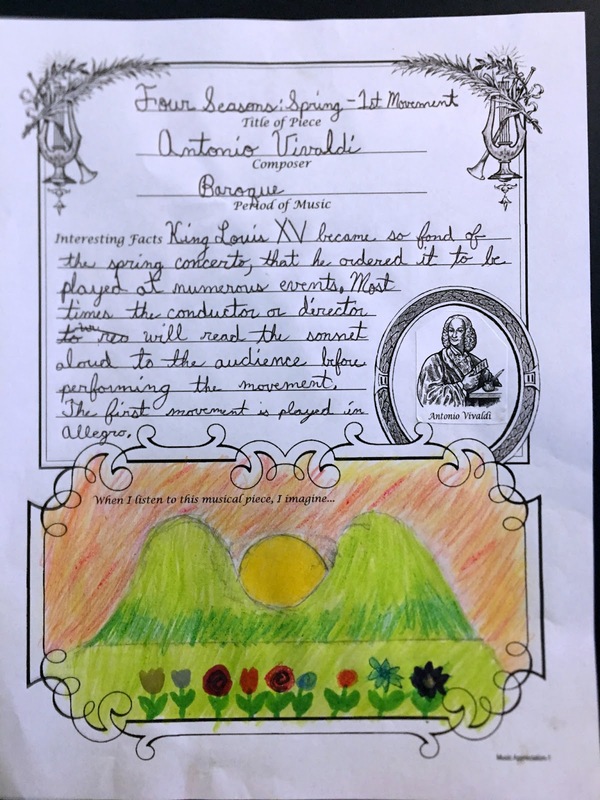 Rather than being a complete program with biographies of the composers, it is more of an "explore and fill in the blank yourself" program, where the student needs to research each of the composers. There is also a section on orchestral instruments, which is also a cut-and-paste situation. 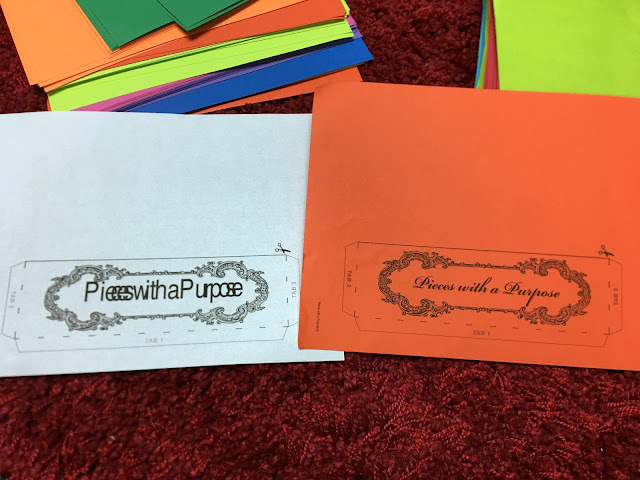 This is a program that requires significant amounts of patience, paper, and printer ink. Unlike most lap book style programs that are "open the file and click print," Home School in the Woods programs need to be printed one page at a time. You'll need to regularly change paper weights and colors for each page. We received the download version, and while it is saved on my computer's hard drive, launching the program used the Firefox browser. Some pages we were able to open from the files and print directly, while others we had to re-download as PDF files so that the fonts maintained their integrity. With limited hard drive space, this was annoying -- and we didn't figure it out until pages printed, so it meant either having funky printing OR using more paper and ink. All told, I think it took me about two hours to print everything out. Having used these in the past, I knew what I was going into and how much work it would be to get started. However, if you're a lapbooking family and are used to "print and go," you're going to be in for a big surprise. This is one that I think could be printed on just white copy paper, but it is more impressive if you use the different papers. We had some leftover from our last review, so that helped keep the cost down a little. The Timeline project was something that really made things click for Celia. 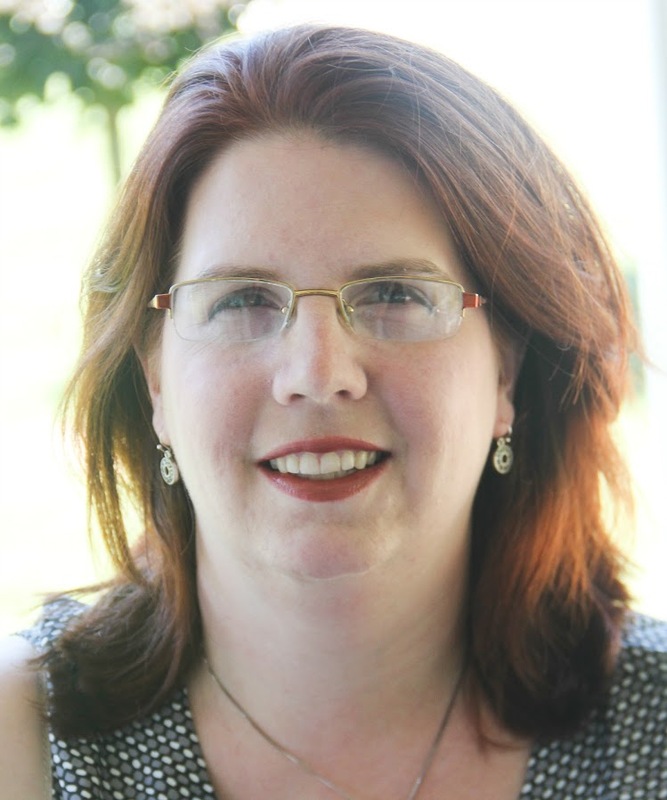 She plays both piano and violin and has had juried exams for both. She was confused when choosing her repertoire pieces for her upcoming piano jury. She needed to pick pieces that contrasted mood and tempo but struggled to understand where different composers fit into the general timeline of music. 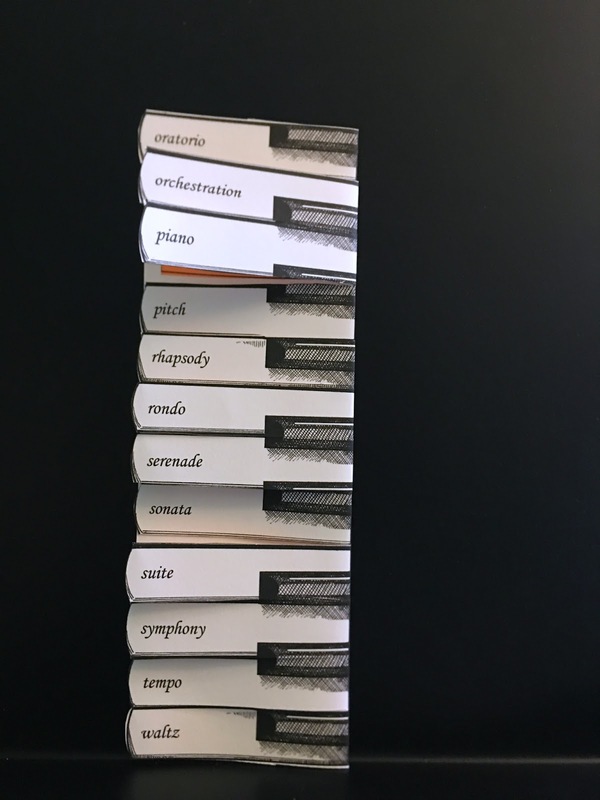 The Activity Pak has helped her understand that while composers like Dvorak and Debussy have very different styles of composition, they are still both Impressionists, based on the time they lived and worked. Now seeing composers laid out on a timeline based on when they wrote, rather than all jumbled together in her lesson book based on the difficulty of the piece, she can more easily choose where she needs to fill in repertoire gaps. I'm going to sound like Goldilocks searching for a good music station here, but bear with me. When we have used Home School in the Woods programs in the past, I've felt there is more cutting and pasting than learning. It becomes less about absorbing the contents of the definitions and more "match them up and glue them down." In assembling the timeline and composition study pages, Celia spent much of her time cutting and pasting. She even had reprint some pages because they required some complicated cutting. As she put it, a few got severe haircuts and "Mozart got a nose job!" as she was trimming to fit. It would have been simpler if there had been more space around the composers and where they needed to go; she could have left more white space with a less detailed cut. It was "too much busywork." 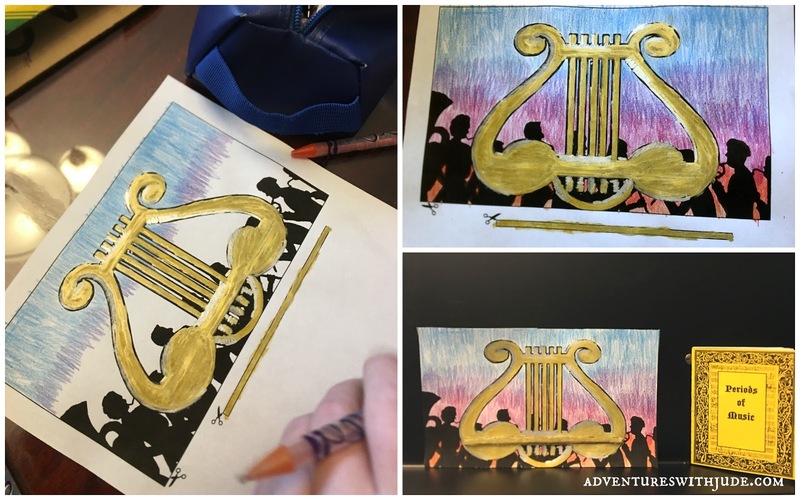 I could justify some of it as she veered off into art-land as she created her "music stand" and worked on what she told me was her "never-ending quest to actually do a good ombre." On the other hand, I'm thinking an 8th grader shouldn't be spending six hours coloring and cutting out pieces to glue together. 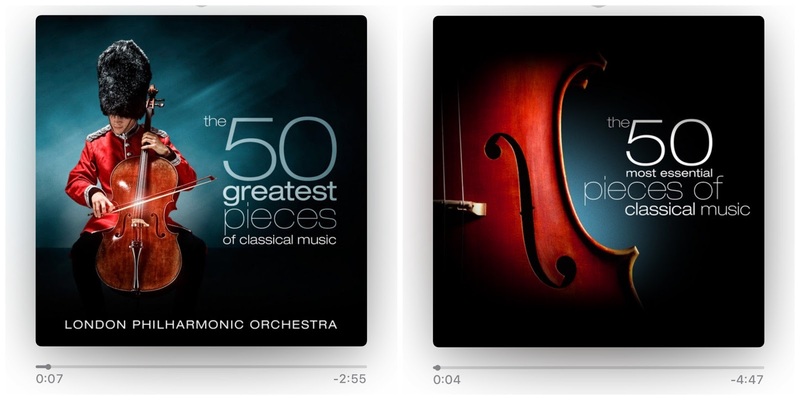 She's spent a lot of time working on one composer and the accompanying musical pieces, and then hunting through my iTunes playlists looking for the full-length pieces to listen to, or for more selections by a given composer. Sometimes I've had to say, "It's time to move on." Hint - we found these two albums to have the widest variety of composers from the timeline, along with a few others that are not included in the Activity Pak. They do include longer pieces from the excerpts included in the program. Did we find a "just right" with this program? I guess so, in the sense that Celia isn't ready to abandon this mid-way. We've used Home School in the Woods in the past, with mixed results. Celia enjoyed the 20th Century In America Hands-On Lap Pak,while the little boys were less enthusiastic about the Ancient Greece World History study. I wouldn't have called this round a "tiebreaker" so much as me thinking "They're different kids, so different perspectives." Having used the Time Traveler and the World History studies, I'm wondering if it's that they have different perspective. The two histories seem to be facts fast-and-furious, while the two Celia has worked on (both Activity-Paks) have much more leeway for student-led study. Composers is working for her, providing a framework for independent learning. I would be more inclined to use this for not just upper middle school but also for high school as an art history course because of all the research and writing involved with the music passages and the composers; to use with a younger student I'd be hunting down books about the composers rather than letting a third or fourth grader loose on the internet. I think if I had an older student and a younger student working together, it would be doable, but not for a younger child solo. I'm going to say that because of all the "busywork", it is not my favorite program, but I can see us continuing with it as a summer project.